Police are appealing for witnesses and information following the report of a burglary that occurred at a residential premises in the Hillside Crescent area of Portadown. Detective Inspector Harvey said: “It was reported that at approximately 9.00pm on Saturday 17th December, entry was gained via the rear window to a residential premises in the Hillside Crescent area of Portadown. “The house was ransacked and a number of jewellery items were stolen by the thieves along with a car key and a sum of money. 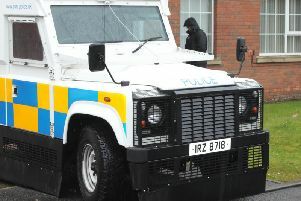 “Police are appealing to anyone that may have any information on the matter or to anyone that may have witnessed any suspicious activity in the area or to anyone that may have been offered similar items for sale in suspicious circumstances to contact us at the Lurgan Reactive and Organised Crime Branch on the non-emergency number 101, quoting reference 1278 on 17/12/16.